This week I read another of my "debut author challenge" books: Whisper by Phoebe Kitanidis. It kept me entertained and reading, which in my opinion is always a good thing. It did feel the need to throw in a few "f" bombs, so if you have sensitive eyes like I do, beware of them burning. :) Other than that it was a clean, creative, fun read. I'm really glad I decided to do this debut author challenge because it's introducing me to books I might not have picked up otherwise. "Joy is used to Hearing Whispers. She's used to walking down the street and instantly knowing people's deepest, darkest desires. She uses this talent for good—to make people happy and give them what they want. But for her older sister, Jessica, the family gift is a curse, and she uses it to make people's lives—especially Joy's—miserable. 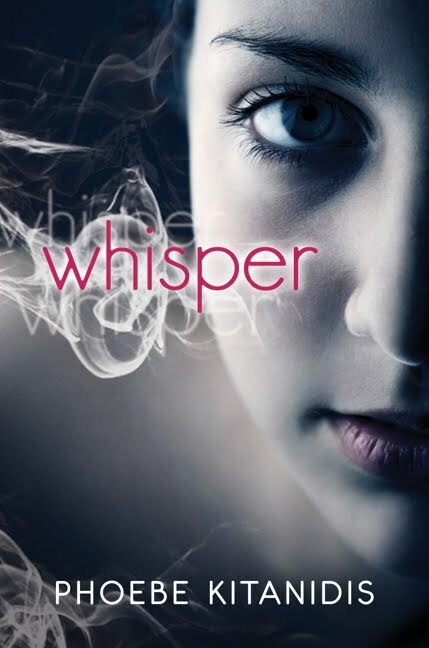 Still, when Joy Hears Jessica Whisper I want to kill my Hearing dead, and kill me too if that's what it takes, she knows she has to save her sister, even if it means deserting her friends, stealing a car, and running away with a boy she barely knows—a boy who may have a dark secret of his own." Ooh, intriguing. I'd not heard of this book -- thanks for the recommendation! I like the cover. I'm one of those senstive types, though. Darn, crappy language. I like the cover too. I'll have to check this one out.